Whopper's Bunker: EARTH 2 Located! Threat Imminent! EARTH 2 Located! Threat Imminent! Defying UNETIDA suggestions, NASA have revealed the discovery of the first ever planet in a habitable zone outside our solar system. While earlier this year astronomers "confirmed" the first rocky exoplanet to meet key requirements for sustaining life was Kepler-22b, initially glimpsed in 2009, their findings were much dismissed as those astronomers were actually french, and therefore cretins. However now that the US space agency has confirmed the planet, it can be taken as being fact and is emerging in news stories across the globe. Confirmation means that astronomers have seen it crossing in front of its star three times and that the conditions are right for our form of life and not that they know life actually exists there. It has the right distance from its star to support water, plus a suitable temperature and atmosphere to support life as we know it. 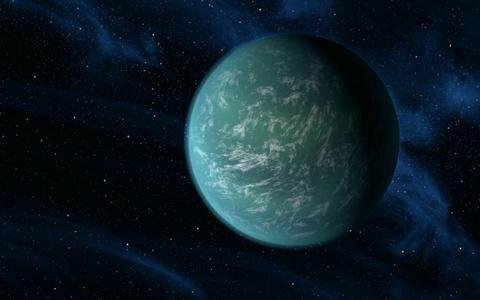 "We have now got good planet confirmation with Kepler-22b," said Bill Borucki, Kepler principal investigator at NASA Ames Research Center. "We are certain that it is in the habitable zone and if it has a surface, it ought to have a nice temperature," he told reporters. 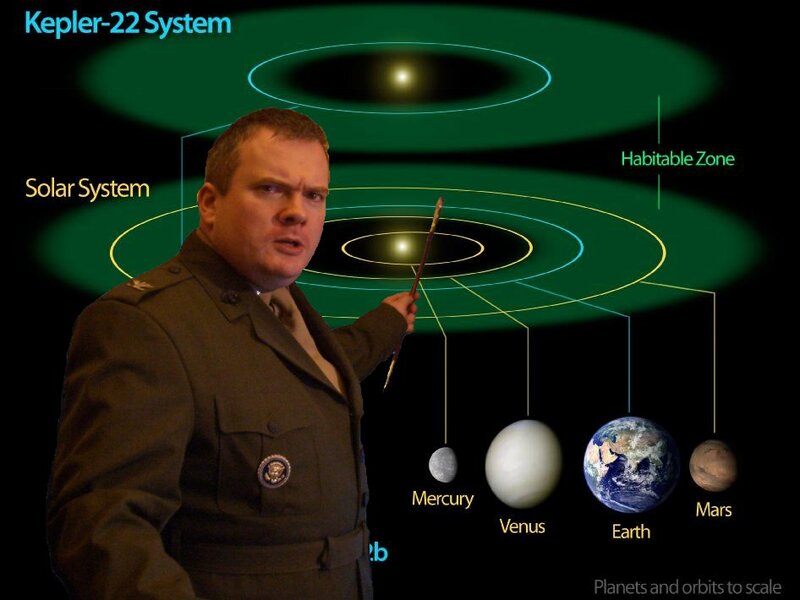 "If we can see their planet, then we have to assume they can see ours" declared Colonel "Whopper" Creedon, Acting Director of Intelligence for UNETIDA. "It's naive to believe that they have the same level of technology we have and that somehow being 600 light years away is the same kind of insurmountable obstacle that it is to us presently." The Colonel outlined his "first strike" strategy at a meeting of the UN Security Council this afternoon. Present were representatives of world military research agencies who are now drawing up plans to both conceive of a payload effective against a rocky, gaseous or liquid planet [as Kepler-22b's composition is unknown] and a method of delivering it as quickly as possible. In the meantime NASA also announced that Kepler has uncovered more than a thousand other potential target... er planets, twice the number it previously had been tracking, according to research being presented at a conference in California this week. Wait a minute what about operation "Cold Dead hand!". surely Uniteda has already launched the chemical rocket that carries 18 1 megaton nuclear war heads....sure it may take thousands of years to get there but when it does they won't be expecting it, that'll teach them to mess with the colonel...in a purely pre emptive way of course! Colonel, I can feel your anger. It gives you focus, makes you stronger. Sithy, don't forget it makes your teeth curly and your hair whiter, no wait, that's not right.